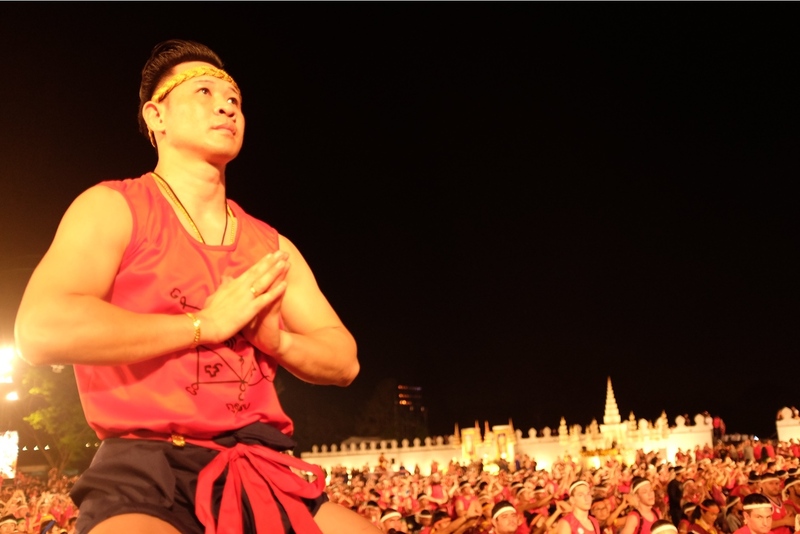 The roots of the annual wai kru ceremony can be traced back to the 18th century legend of Nai Khanom Tom. The tale falls somewhere between history and myth but the impact it has made on the Thai psyche and collective history of Muay Thai is one of enormous proportions. Nai Khanom Tom was a real person, born in 1750 Ayuthaya, a province in central Thailand and second capital of the ancient Siamese Kingdom, after Sukhothai. After many years of warfare, the Burmese infiltrated and destroyed Ayutthaya in 1767 and the city was never rebuilt. It was during these wars that the legend of Nai Khanom Tom, Thailand's father of Muay Thai, took shape. Story has it that the Burmese king was looking to find out whether Lethwei (Burmese Boxing) was superior to Muay Boran. At the time Nai Khanom Tom was one of thousands of Thai prisoners being held captive by the Burmese army. He was then picked to test his skill against the highly trained Burmese soldiers. Nai Khanom Tom first performed his wai kru, and then beat the Burmese fighter by knockout. But the Burmese did not accept the victory, deeming that the wai kru and ram muay music were nothing more than black magic, so then made him fight again, and again. In fact the wai kru does have magical elements; incantations are passed down from generation to generation to keep fighters safe but its main aim is to pay respect to one's teachers. 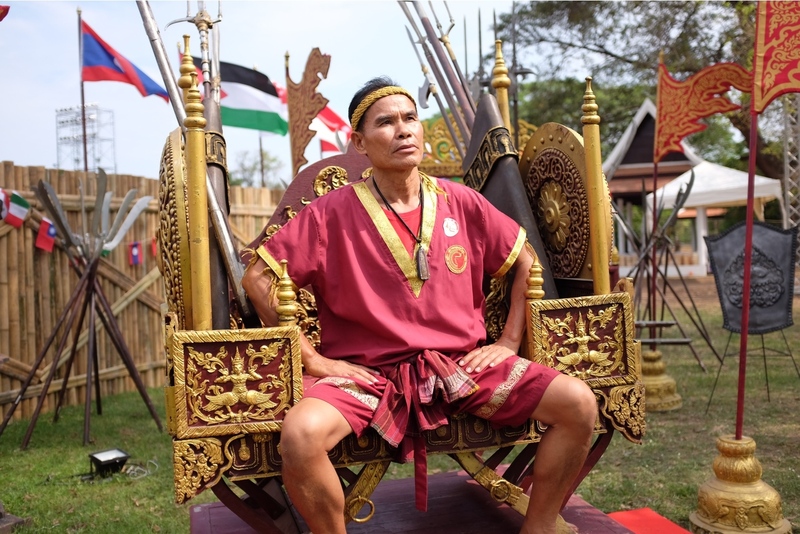 All in all it is believed that Nai Khanom Tom defeated 10 Burmese fighters in a row, without being given a break. 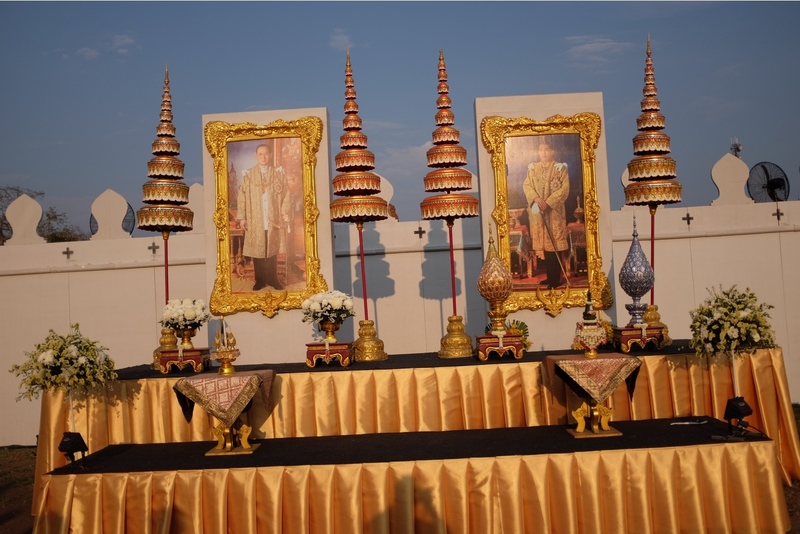 With this the Burmese King was so impressed he set Nai Khanom Tom free along with many other Thai prisoners that day. That day was March 17th, and now over 200 years later Nai Khanom Tom and the sport of Muay Thai are honoured with National Muay Thai Day. 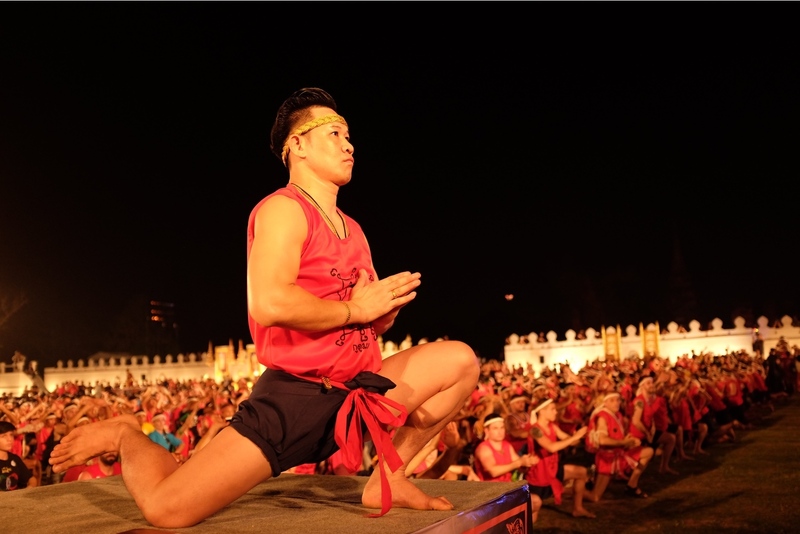 This year marked the 13th annual wai kru ceremony. It is hosted in conjunction with the Tourism Authority of Thailand and the Kru Muay Association. The aim of the ceremony is to celebrate the sport of Muay Thai and pay respect to teachers, past and present. 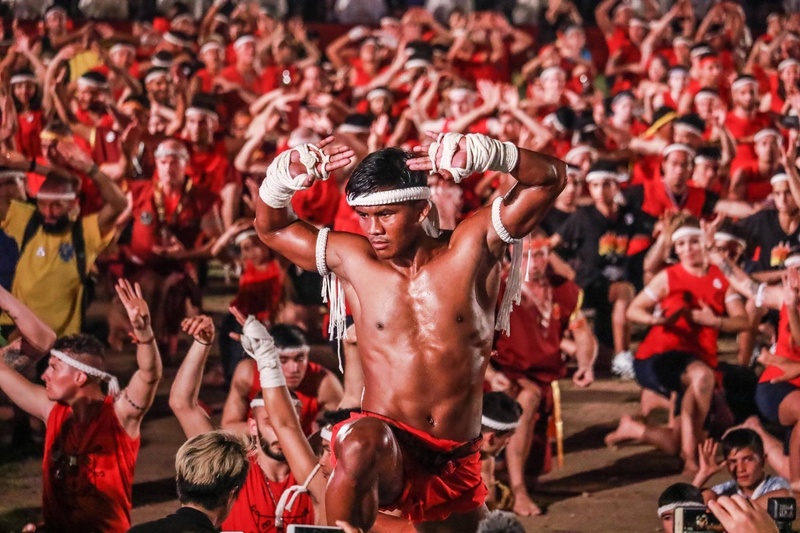 In addition to the actual wai kru ceremony that took place there were also live fights hosted by Miracle Muay Thai that featured athletes from all over the world, pitted up against some of Thailand's top prospects. Highlights included Namtarn Por. 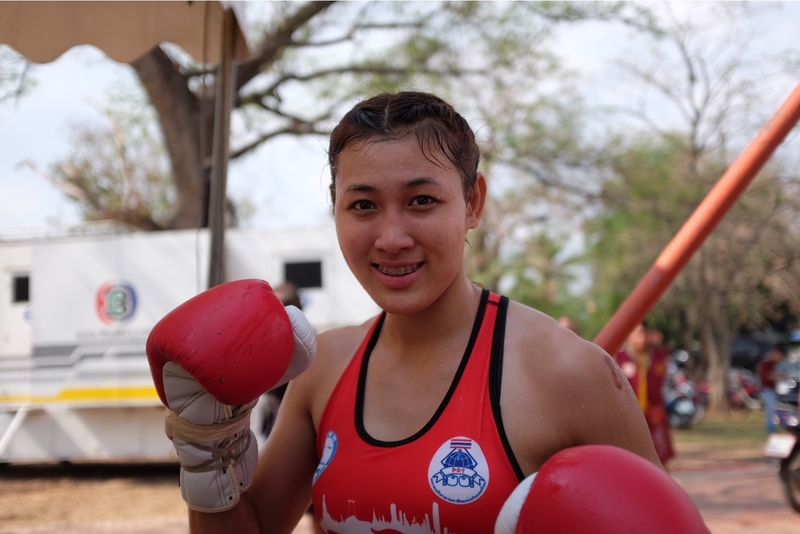 Meung Petch's impressive victory over Teresa AKA Muay Thai Gym, successfully defending her 118lbs Women's WPMF belt. Effectively utilizing the eight weapons of Muay Thai, Namtarn defeated the Swedish native seemingly effortlessly, winning the fight by judges decision. Brazilian fighter Jos Mendonca, possibly had his most damaging fight to date. Mendonca is no stranger to fighting Thai elites; he is a former Rajadamnern Champion and WPMF Champion. However, in the second round Mendonca's shin split open when blocking a kick and he couldn't come out for the third. Mike Sor. 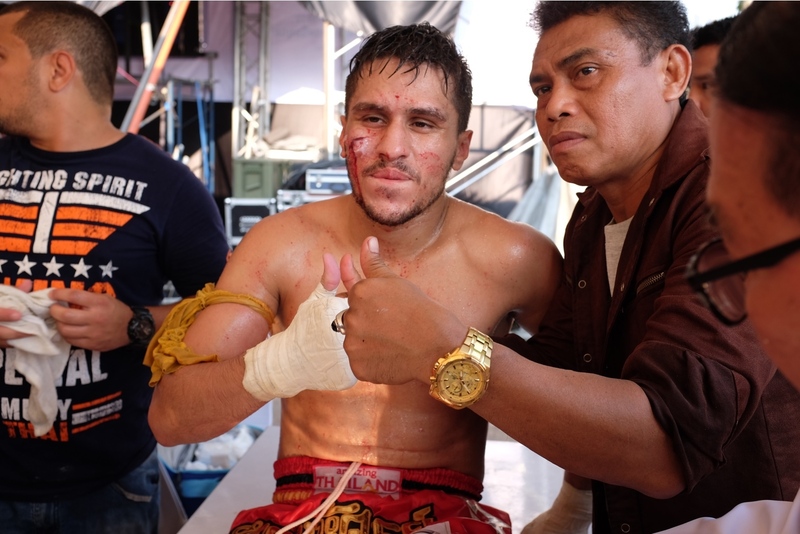 Kigrungjon from Thailand was declared the winner by TKO and Mendonca was sent to the medic for 16 stitches. 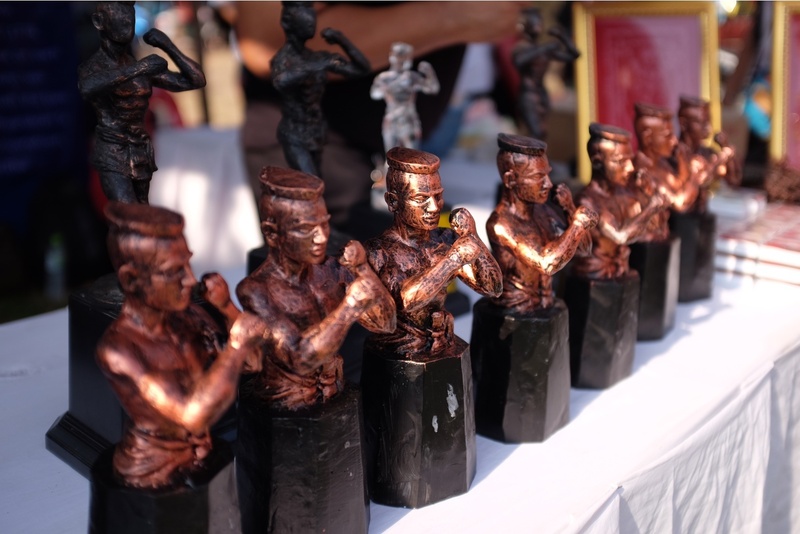 "The Wai Kru Festival is a spectacular event; thousands of practitioners gather together to share their passion for Muay Thai. This event means the world to my father! He is able to share his love with the other Masters of Muay Thai and help them to be recognized for the influence they have had in the sport as well as inviting over a thousand practitioners to come and take part in the ceremony, to show the culture of Muay Thai, not only the fighting part but the respect and magic nature of the sport." In addition to the fights and the Wai Kru ceremony, there were many things to keep people occupied. Vendors from all over the country set up selling delicious Thai street food and hand crafted Muay Thai souvenirs. 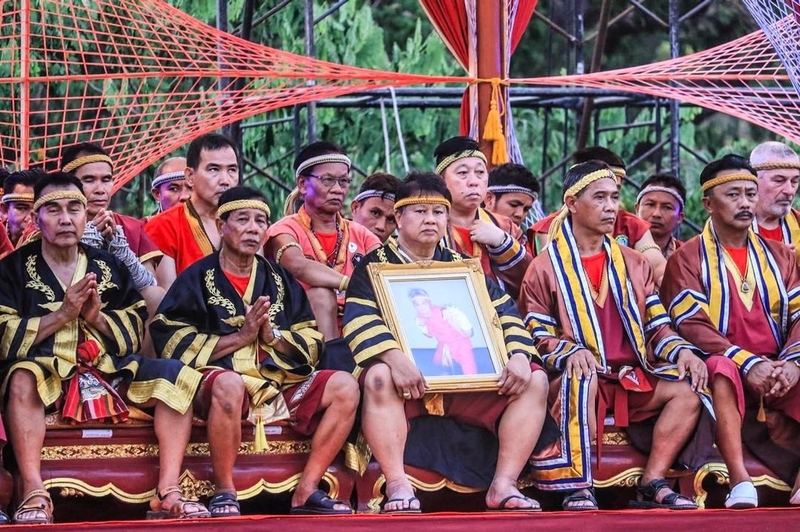 Foreigners were encouraged to test the toughness of their shins on banana trees and free sak yant tattoos were being offered to all participants. The sak yant however, cannot be chosen. 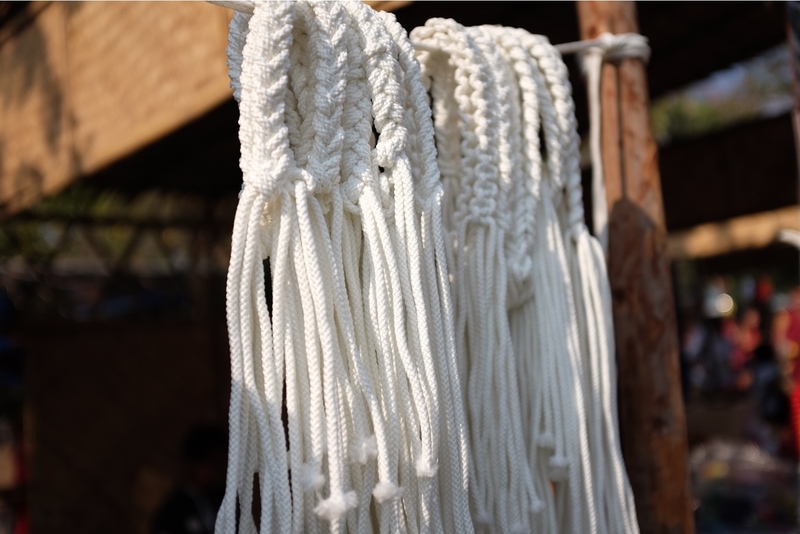 It is a three part process, completed over three years, that can only be completed by returning to the wai kru ceremony Payments are not accepted, recipients may however give a donation, and of course must wai their teacher upon completion. 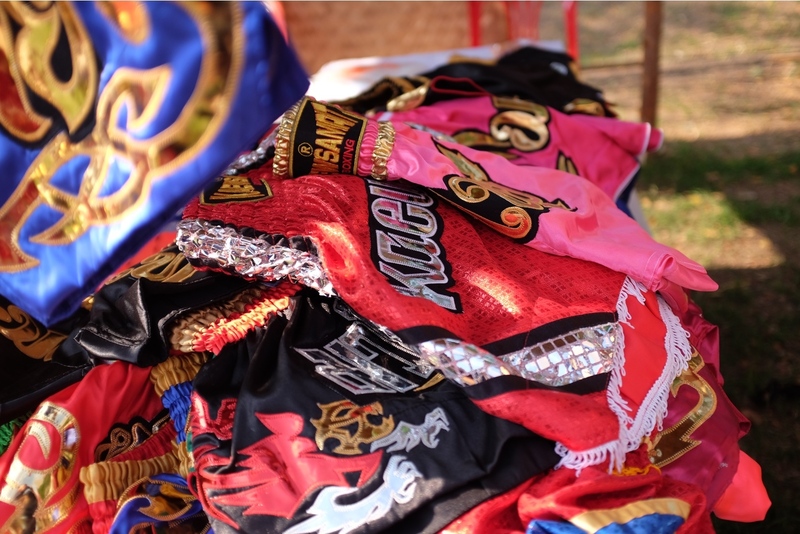 Sak Yants are believed to be charged with magic bestowed with fortune, power, and good luck. Overall the event was a huge success, and seems to be gaining more and more momentum every year. Set in the beautiful back drop of the ancient city of Ayutthaya, a short bus ride from Bangkok, it appears that the wai kru ceremony is gaining a cult-like following. Something that is needed if Muay Thai is ever going to make it's way to the Olympics.